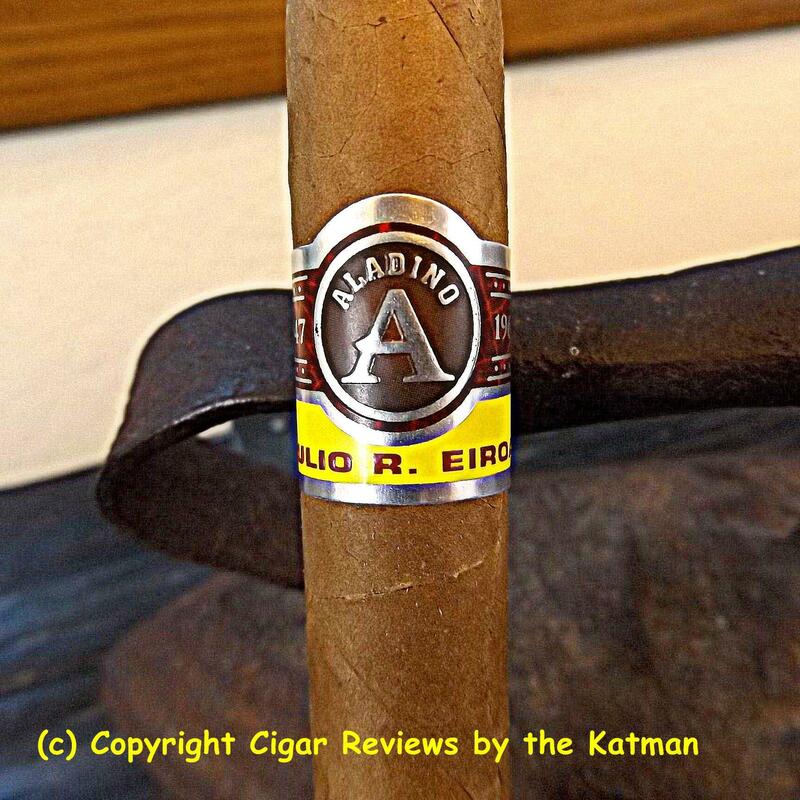 Today we take a look at the Aladino by Julio R. Eiroa. As far as I know, this is a pre-release review. Couldn’t find a single online store that carries them so my information is on the low end. “The Aladino Cigar Factory, a landmark in Danli for originally being one of two theaters owned by Antonio Kafati, Christian Eiroa’s grandfather. Was remodeled for the first time since the theater opened in 1975 and converted into the Aladino Cigar Factory where the Eiroa Cigars will be made. “The manufacturing technique has been perfected by a small group or rollers where the tobacco is bunched in a way to guarantee perfect construction. This method, perfected by the Eiroa family assures the burn, construction and blend is exactly the same in every single cigar through every size. At this summer’s IPCPR trade show, CLE Cigars debuted three new lines: Aladino, Tatascan, and Rancho Luna. The blends come from the master blender Julio Eiroa; Christian’s father. Eiroa says that the large group of sizes is designed to give the consumer a wide choice of the right cigar at the right time. And while the undisclosed leaf stats are the same in each cigar, the size will make a difference in taste. The only thing I do know is that Authentic Corojo is used in the blend. A tan colored matte finish wrapper is structurally sound. Tight seams, minimal veins, beautifully applied triple cap, solid, right amount of give, and a very simple Cuban-esque cigar band. From the shaft, I smell sweetness, cedar, nuts, floral notes, and earthy tobacco. From the clipped cap, I smell strong floral notes, sweetness, nuts, warm bread, earthiness, and black licorice. The cold draw presents flavors of licorice, earthiness, cedar, spice, and sweetness. First flavors are red pepper, hay, sweetness, caramel, and rich earthy tobacco. The strength is very mild. I couldn’t find anything in the press releases or news sources saying what the strength is. I’m now guessing it is going to be mild/medium. 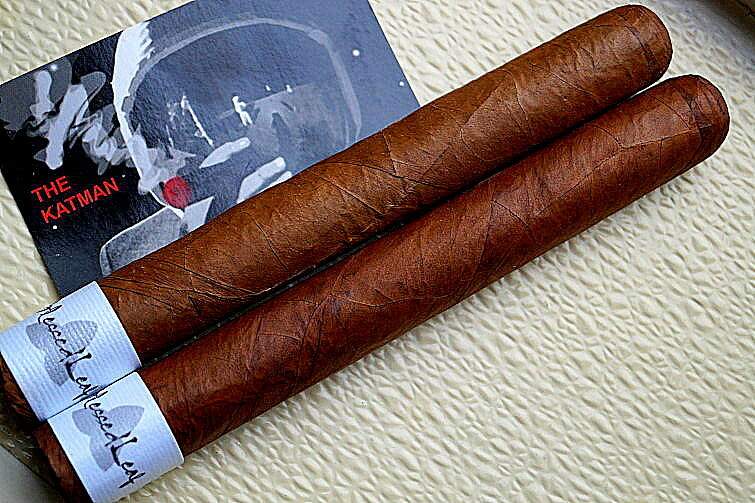 The cigar is not packed that tightly and is burning quickly. It’s taken me only a few minutes to burn through half an inch. The flavor profile is so minimal that almost ceases to exist. I guess Eiroa knows there is a customer base who smoke only mild bodied cigars and he wanted in on it. I’m unimpressed with the lack of taste. I suppose Eiroa went back to Old School blending in which the cigar needs 6+ months of humidor time. Which could be the reason for not a single review of this cigar. And you know the Big Guys got theirs early direct from Eiroa so they have been resting for a while. 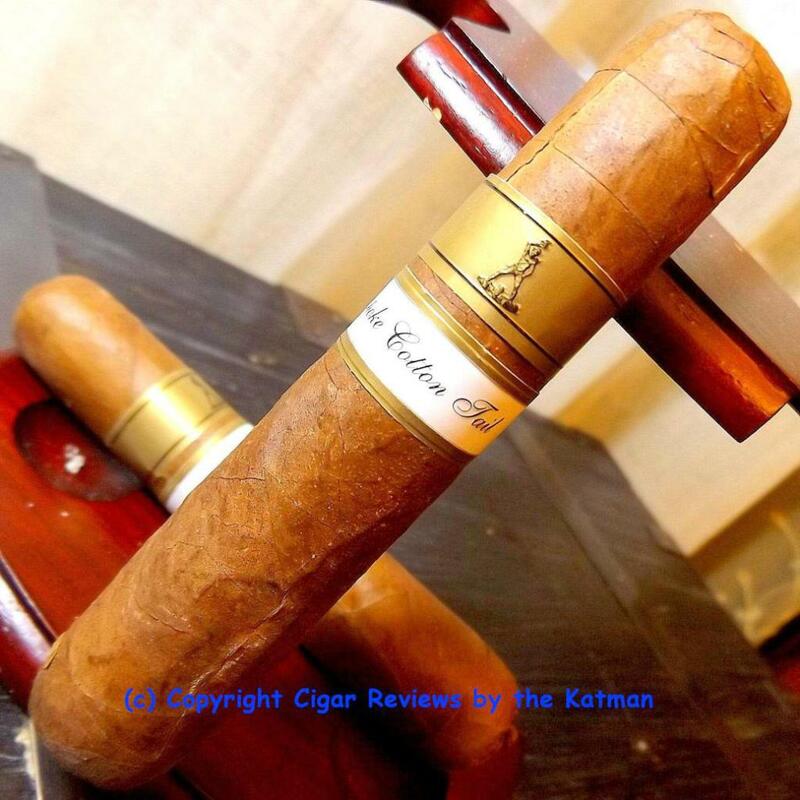 The flavor profile of the Aladino by Julio R. Eiroa finally bumps. There is a small swath of: more potent pepper, creaminess, caramel, coffee, fruit, toasty, cedar and earthy tobacco. The strength remains mild at 1” burned. But a distinct flavor profile begins to form with the creaminess and spiciness leading the pack. In a million years, I would never have guessed this is an Eiroa blend. Even if it did come out of the new Aladino factory. Smoke time is 15 minutes. The char line has a major issue on the back side of the stick. Needs a big touch up. Red pepper surges and the strength just lay there at mild body like a dead fish. 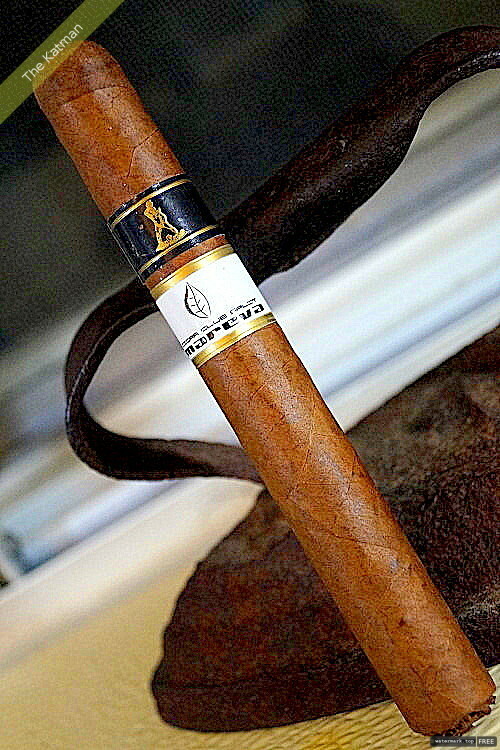 The Aladino by Julio R. Eiroa has gone from liquor store cigar to something more. Not much more but it is beginning to develop. I think the Eiroas missed the boat with this blend. I’m pretty good about discovering potential if a cigar isn’t ready to smoke yet. I don’t taste anything but a $2.75 bundle cigar. And it’s burnin’ like a house on fire. 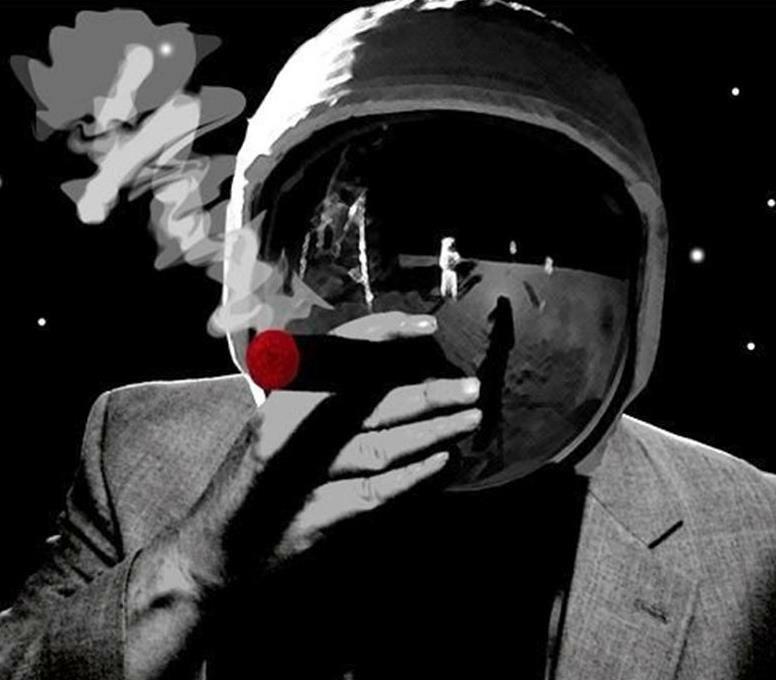 It is almost like a cigarette. I went from second third to halfway point in 5 minutes. 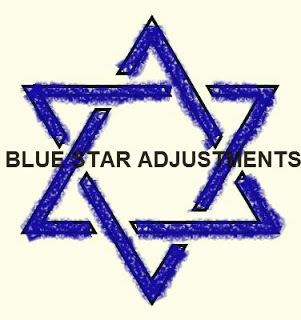 This may end being one of my shortest reviews…Ever! Is this a joke cigar? Someone is kidding me, right? The great Eiroa family of master blenders put out a Swisher Sweet? Because that’s about all that is left: Spice, creaminess, sweetness, toasty, caramel, and rich tobacco. And it’s burning at 90mph. The char line finally self corrects. The cigar is a month old…at least. It was a gift from a friend who I dare not mention at this point. I don’t want him to get any backlash because of me. Oh looky lou! Chocolate enters past the halfway point. The strength moves to mild/medium body. This gives the Aladino by Julio R. Eiroa a kick in the pants. NOW it tastes like I had hoped. As if a light switch had been turned on, flavors become bold. No change to the list, but now they are attacking my palate like the hordes of Babylon. Clearly, this cigar needs 6 months of humidor time to get those flavors at the start of the cigar and not past the halfway point. That’s the problem when the manufacturer only puts out a minimal amount of information and the news sources don’t know either. Smoke time is 25 minutes. Way short of its expected goal. I guess you could call the cigar a Corona Gorda to even the playing field. Cazador tells us nothing about the size. As you can see in the photos, the wrapper is extremely thin. It has taken about 7 minutes to get from the halfway point to the last third. 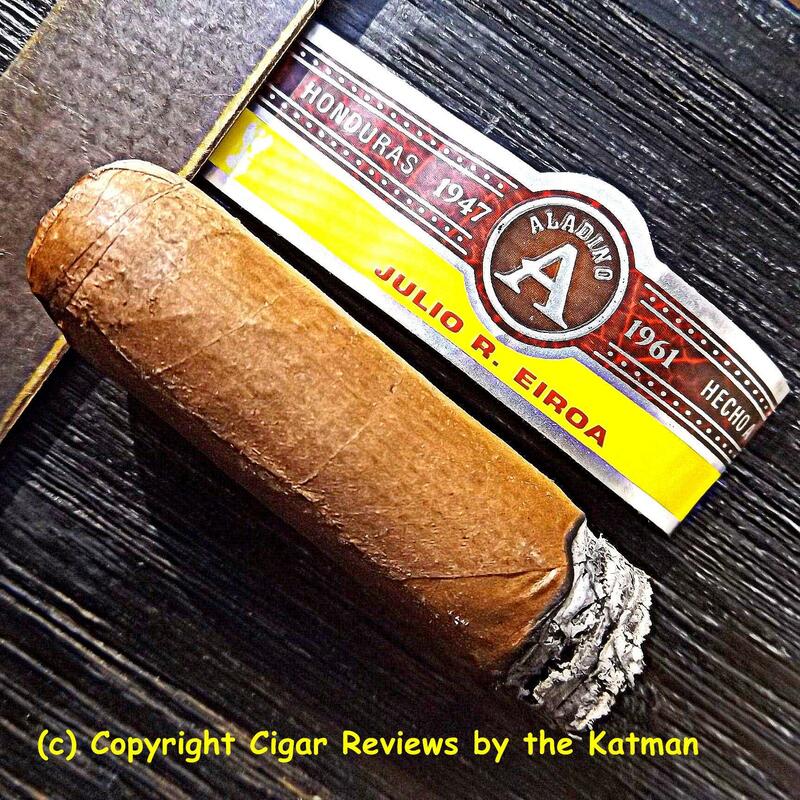 The Aladino by Julio R. Eiroa is very creamy and very spicy. Strength is trying to make it to medium body like the Little Engine that Could. It might make it in the last inch of the cigar. We shall see. 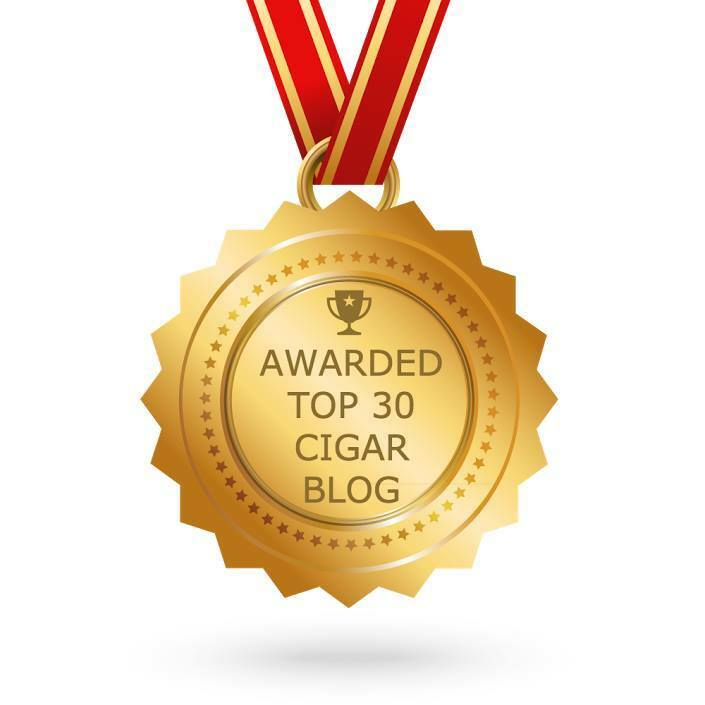 I have started rating cigars. I don’t think anyone has any doubts what I will rate the Aladino by Julio R. Eiroa. How low can you go? LOL. I just noticed on the cigar band that it says 1947-1961 which must mean something but I have no idea what. I suppose if I spent an hour or so researching it, I’d find out. Not in the mood for this much lacking cigar to receive the royal treatment. The Aladino by Julio R. Eiroa hits a light medium body. And lastly, the current flavor profile: Spicy, caramel, creaminess, toasty, chocolate, coffee, nutty, cedar, and earthy tobacco. Still, this is not a cigar I would buy. It’s a big deal when an Eiroa changes direction and puts out a mild bodied cigar. I can’t believe there is nothing about this in the press release. Unless I missed it..of course. My memory is shot so I cannot tell you what mild bodied cigars I really liked. Not many. I think most of us experienced smokers rank mild body to tasteless. The Aladino by Julio R. Eiroa comes close. The last 1-1/2” really soars and here we find the sweet spot. So creamy and sweet with that big punch of pepper. Very nice. But too little, too late. What a shame. The Aladino by Julio R. Eiroa finishes very hot and harsh. I’m trying to smoke it to the nub but it burns my lips because it so hot. Final smoke time is 35 minutes. It took longer to type the review than it did to smoke the cigar. The $8 price tag is nuts! If for no other reason that it burns like a cheap cigarette with chemicals making it burn whether you puff or not. 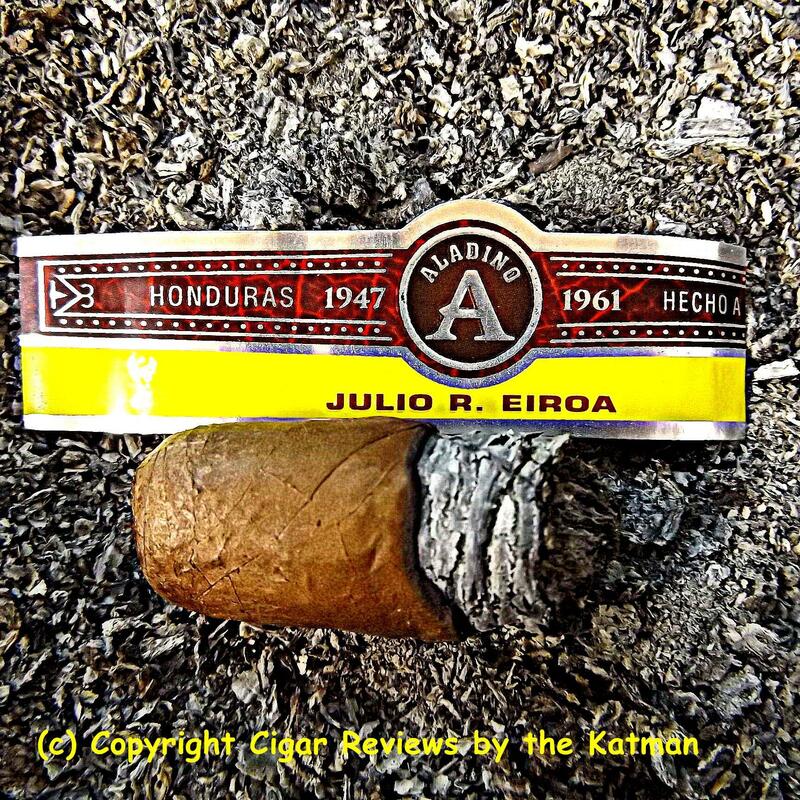 I’ve smoked cheap bundle cigars that were better than the Aladino by Julio R. Eiroa. I have no idea what an extended humidor rest will do for this blend. But I had a misplaced trust in Eiroa that this would be typical of the New Breed style of blending. Ready to smoke in 3-4 weeks. Longer is better but nevertheless, ready to enjoy. This is old school in all its definitions. I’m very disappointed in the Aladino by Julio R. Eiroa. I don’t taste any significant potential. The char line was a mess the first half. It burned way too quickly. The last 1-1/2” gave me a hint of what 6 months of humidor time will do for this cigar but it is so mild that I would never buy it. The pepper made a good effort to give the blend some oomph. The Aladino by Julio R. Eiroa is a failed experiment in my eyes. 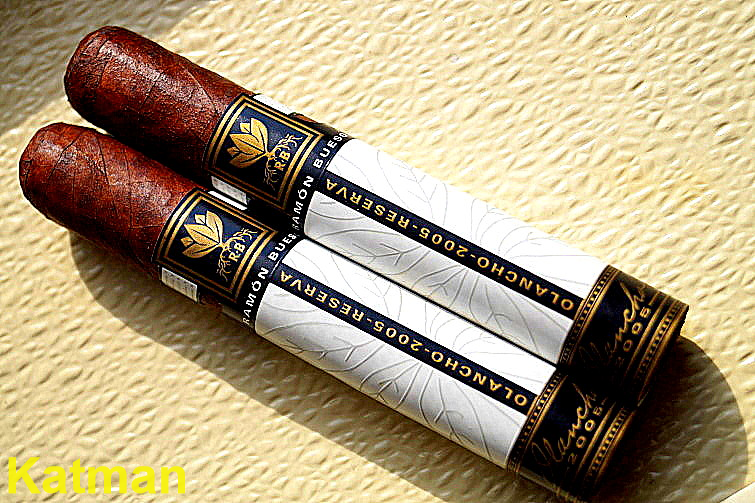 There are two other blends made at the new Aladino factory: Tatascan and Rancho Luna. I don’t know if I’m in any hurry to try them. I am not going to rate this cigar because my review speaks for itself. 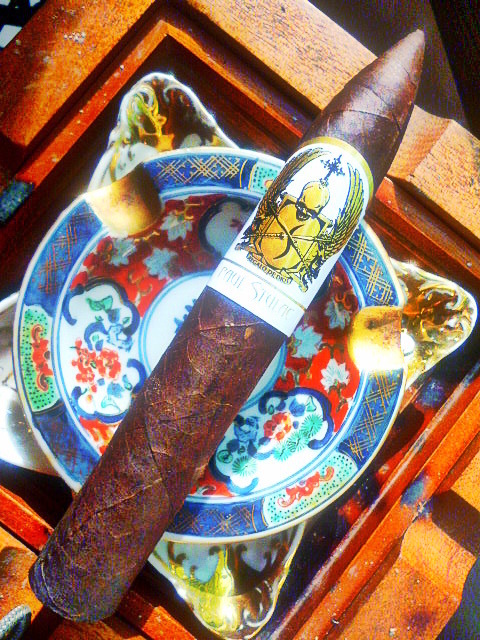 If you are a mild body cigar lover, you might like this with plenty of humidor time. But at $8, and with the cigar smoking so quickly, it probably isn’t for you.